Shatta Wale, Ghana's controversial dancehall music star, has suggested that actress and TV presenter Efia Odo once had amorous relations with, Junior, his [Shatta's] friend who was recently killed by robber sin the US. Ghanaian forward, Opoku Agyemang has insisted that he can return to action once again despite being sidelined by injury for nine years. Not long ago, it was reported in the media that Andy Odarky of TV3 mentor fame has filed a lawsuit against Kumawood actor Lil Win following an alleged music theft. Elmina Sharks maintained their unbeaten record at home as they defeated Karela United by 2-0 in a fiercely contested game at the Nduom Sports Stadium on Sunday in match day six of the Special Competition. Liberty Professionals captain Simon Zibo scored the crucial winner as the scientific soccer lads tamed Dreams FC at the Carl Reindorf Park in Dansoman. Medeama remained unbeaten in Tarkwa as they secured a slim victory over struggling Eleven Wonders to stay in the running for a two finish in Zone A of the Normalisation Committee Special Competition. WAFA SC preserved their unbeaten in the Normalisation Cup with a 3-2 win over Hearts of Oak in Sogakope on Sunday. Thousands troop to the Garden City, Kumasi, to take part in the climax of the 20th-anniversary celebration of the Asantehene, Otumfuo Osei Tutu II. Former Minister of Power, Dr Kwabena Donkor, has said Ghana is sick in so many ways. 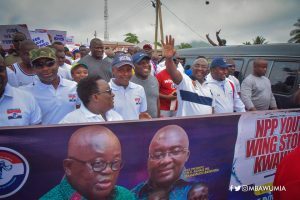 Christians in Ghana today April 21, joined their counterparts to mark Easter Sunday, which symbolizes the resurrection of Jesus Christ who was crucified about 2000 years ago. Good afternoon and welcome to Ghanaweb’s LIVESTREAMING coverage of week 7 of the Normalization Committee’s Special Competition game between Liberty Professionals versus Dreams FC. A fire outbreak on Easter Saturday night destroyed several shops at the Asafo Market in Kumasi, the Ashanti regional capital less than a day after a similar incident was recorded at the Kumasi Central Market. Professor Mike Ocquaye, the Speaker of Parliament has advised Christians not to use church as auditoriums or cinema halls by visiting just to watch its internal deco, performance and outfits of people.